Posted on: January 25th, 2019	by Jennifer A. This post was sponsored by Flower Republic who is helping us giveaway a bouquet of 25 roses to a lucky reader. Love notes….are they something you do only for your significant other? Do you only send love notes in your kids’ lunch boxes? Why? Who not send love notes more often? Why not send them to friends, family members, or other loved ones. On some level it can seem that sending love notes can be so simple but then when we go to put pen to paper, we struggle. Why is it so hard to write one of a kind love notes? It doesn’t have to be. 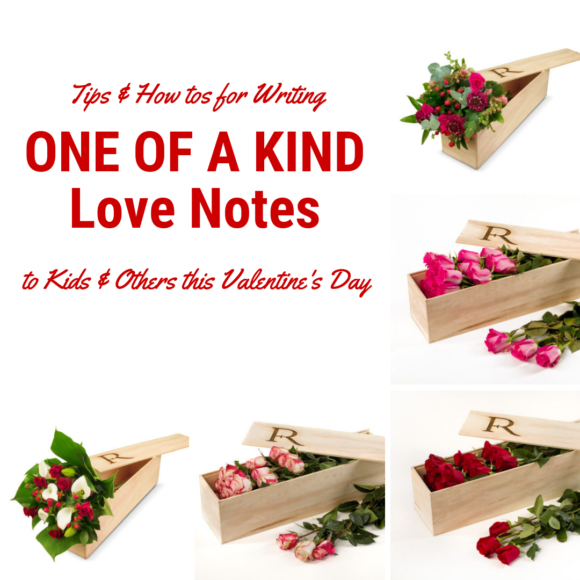 With some help, you can write a love note that says “your love is one-of-a-kind” without the stress. You can also write notes to several loved ones without it all sounding the same. We can help and so can Flower Republic. The easiest love notes to write are the ones that come with a gift. When I send flowers… the flowers do most of the talking and I can just focus on a few meaningful words to include on the flower card message card that comes with the bouquet. As Valentine’s Day approaches I urge you to keep it simple and do the same. 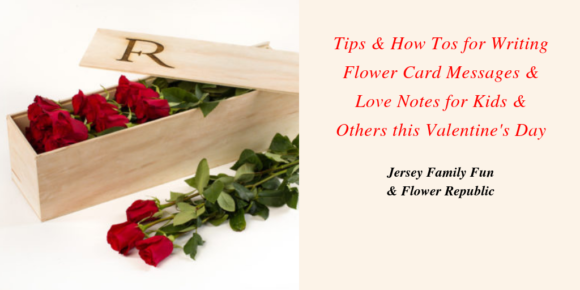 Take a look at our tips below for writing flower message cards, the selection of Flower Republic Valentine’s Day flowers available, and our giveaway. Then, keep reading to learn how you can win 1 Rose Bouquet with 25 Red Roses to send your own one of a kind love notes to your valentine. It’s pretty easy to scan through Flower Republic’s site and pick a beautiful bouquet. We’ve made it just as easy to write out your flower message card. Whether you are sending flowers to a friend, a teacher, or your child, we have examples below for how to write a flower message card. We are here to help you write the perfect love note that fits on those bouquet cards and complements the Flower Republic bouquet you’ve picked to show your love and appreciation. Flower Republic is based in the South American country of Ecuador. The gardeners at Flower Republic send their bouquets directly from their farm in the middle of the Andes in such a way that deliveries arrive in only four days! Choose from a variety of beautiful flowers, roses and arrangements. Take a look at the selections below. Place an order for Valentine’s Day or sign up for their subscription box. With their subscriptions you choose the frequency and different kinds of bouquets are delivered all year long. How are Flower Republic flowers packaged? We always want our flowers to arrive beautifully. 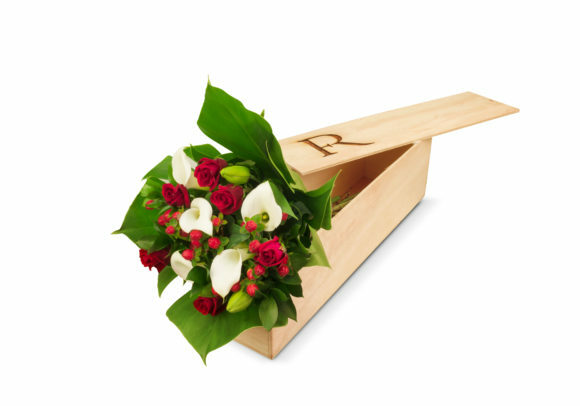 There’s nothing worse that finding out you ordered flowers for a loved one and they didn’t come as you expected. 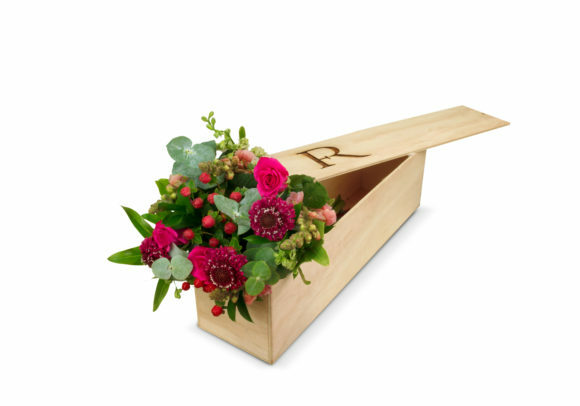 Flower Republic takes packaging Valentine’s Day flowers seriously. Flower orders arrive in a blue carton box. 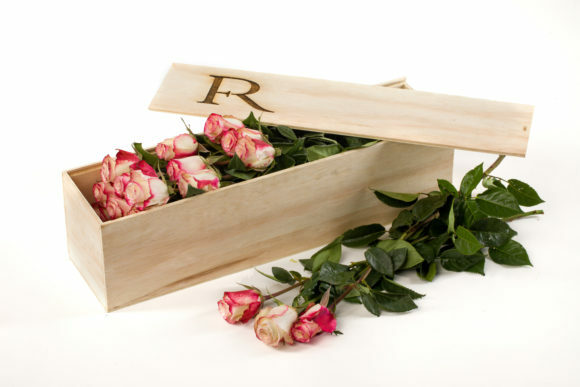 Or you can choose to upgrade your order to be delivered in a beautiful wooden box. It’s almost like have your flowers gift wrapped. Watch the video to see what I mean. Are Flower Republic’s Valentine’s Day flowers expensive? If you think ordering Valentine’s Day flowers has to be very expensive, it doesn’t have to be! Since you’re getting your flowers directly from the Flower Republic farm, many of the typical additional fees have been cut out. Prices are cheaper than what you would find with most online florists. With fresher flowers coming directly to you (or your loved one), the quality is better than what you would find at the local grocery store or corner stand. UPS and Fedex keeps the flowers in coolers throughout the journey. Coolers on the plane, on the ground and on the trucks. Normally it takes over a week to deliver flowers from South America to the final consumer. The normal process is the following. Farm/ Plane to Miami / Truck Drive (about 4 days) / Wholesaler / Flower Shop/ Final Consumer. This could take about 10 days. Instead, Flower Republic fast tracks your order by flying the flowers to the nearest airport and then they take a short truck drive to the final consumer. (4 days). As a result, flowers can actually last a week longer than most flowers. Flower Republic flowers give back! Flower Republic knows that transporting flowers has an impact on the environment. Therefore, they give back by planting a tree for every bouquet they sell. Now that you are ready to order your Valentine’s Day bouquet from Flower Republic, let’s help you out with those tips for writing flower message cards. Consider who you want to send a love note to. Are you writing to one of your children, your loved one, a parent, a friend, a teacher? Think about what makes that person unique. What is it that makes them special to you? Put those thoughts to words. One of a kind love notes don’t have to be long or elaborate. Just a few thoughtful sentences can touch someone’s heart and tell them your love is one of a kind. For the grandparents: Grandma & Granny, we love you so much and are so happy when we get to spend time with you! Happy Valentine’s Day! With love, N, Z, M.
For the teacher: Dear Mrs. F, My son has so enjoyed being a part of your class. Your enthusiasm for teaching is contagious and it makes my son so excited for school each day. Thank you and Happy Valentine’s Day. Love the Auers. Start writing. Use special paper if you have it. Decorate a plain paper with heart stamps or stickers if you like. 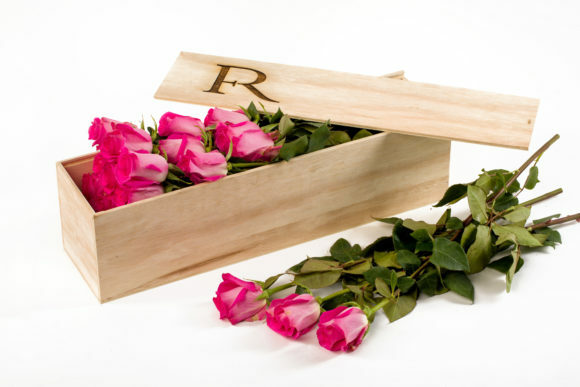 Or give your message to one of the Flower Republic associates to accompany your Valentine’s Day bouquet order. Pick one of these Flower Republic Valentine’s Day bouquets from below BUT don’t forget to enter our giveaway to win Valentine’s Day flowers for yourself. Flower Republic’s Sangria bouquet is an elegant bouquet of red roses, perfect for Valentine’s Day. Available in bouquets of 12, 25, 50 and 75 flowers. Order yours at this link. Have a tween or teen that loves hot pink? These flowers are perfect for her! Flower Republic’s Flamingo bouquet is a pretty bouquet of hot pink roses. Available in bouquets of 12, 25, 50 and 75 flowers. I love this bouquet as a great Valentine’s Day gift for a friend or teacher. Flower Republic’s Picnic Basket bouquet is a stunning collection of Scabiosa, Sweetheart Roses, Hypericum, Snapdragons, Eucalypto, Monstera Leaf, and Ruscus. Available in bouquets of 25, 50 and 75 flowers. Flower Republics Flower Republic’s Picnic Basket Bouquet is a stunning arrangement of flowers for Valentines Day. This Flower Republic bouquet left me awestruck. It’s beautiful in a way that says I love you and thank you. It’s perfect for a mom or grandma who (may or may not) always get to hear the thank yous she so richly deserves. Flower Republic’s Strawberry Smoothie bouquet is an elegant bouquet of Mini Calla, Sweetheart Roses, Hypericum, Monstera Leaf, and Ruscus. Available in bouquets of 25, 50 and 75 flowers. Flower Republic’s Strawberry Smoothie Bouquet. Now are you ready to write one of a kind love notes? Are you ready to win roses from Flower Republic? Start thinking about who you would send that love note and bouquet to and keep reading to enter our giveaway. 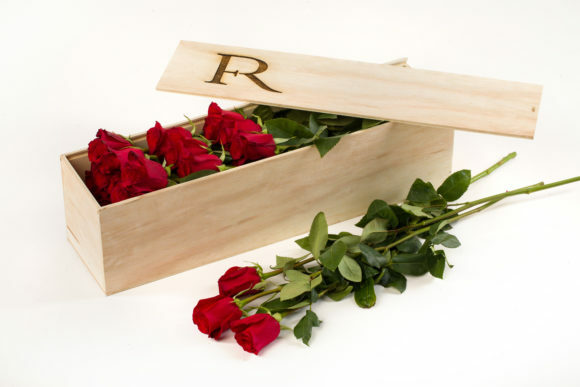 For guaranteed delivery for Valentine’s Day please place your Flower Republic order by Sunday, February 10, 2019. Win a Rose Bouquet with 25 Red Roses from Flower Republic! We will pick 1 winner. The winner will receive 1 Rose Bouquet with 25 Red Roses. Winners agree to provide contact and shipping information to Jersey Family Fun and/or the giveaway sponsor, including full name, address, phone number, and email address. 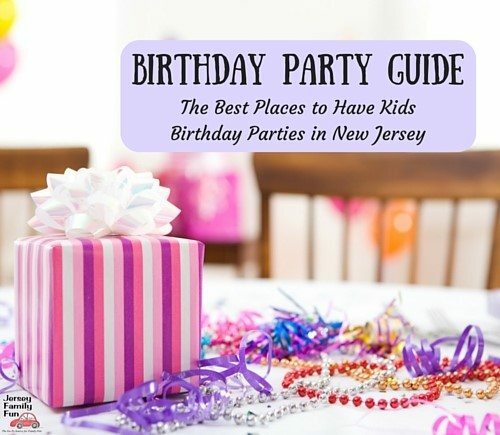 While Jersey Family Fun does its best to ensure winners receive their prizes in a timely manner, we can not make guarantees around floral bouquet delivery dates. You have until Friday, February 8, 2019 at midnight to enter. The winner will be announced February 9, 2019. Winners must claim their prize by emailing us back their name and mailing address to Melanie within 24 hours. All prizes not claimed will either remain with the company sponsor or Jersey Family Fun to be used at a later date. I love picnic basket and summer. I would give as a gift to my hubby since it is his 75th birthday! I would probably gift the flowers to someone else to surprise them. I really like the Pink Lemonade Bouquet. I love Summer Bouquet and I also love Dawn Bouquet. I would gave a dozen to my wife and a dozen to my daughter. My two women in my life. I would love to keep these for my family for our dinning room table! I think the Snowflake bouquet is so pretty. The purple and white are just right. It’s a great winter surprise for a friend or loved one. I’d also love to send some to my mom. I’ve surprised her once at work before and she thought it was wonderful. She didn’t know that they were from me due to a card mix up so the girls all tried to solve “the mystery” all day. It was fun. My favorite is the Dawn bouquet(s). It’s such a beautiful and unique shade. I will say it was a hard choice. They are all stunning. I’d keep the flowers so my husband, kids and I can enjoy them! I also like the watermelon bouquet. I love the sangria bouquet. Oh I also really love the Strawberry Smoothie! Oh so neat! I have never seen a bouquet like that. So pretty and unique! I also like the Banana Bread bouquet. I would keep the flowers for myself. My favorite bouquet is the watermelon. I would love to either keep the flowers or send them to my mother! I also love the Banana Bread bouquet, it’s so unique. I think the Strawberry Smoothie bouquet is beautiful! I also really love the Snowflake bouquet! Beautiful! This would be a wonderful gift for my daughter. What a rough year it has been. To my daughter…..I loved you first and now with all my love to you and the gift you gave me, my granddaughter. I love the Pineapple Roses! I love the Coco roses !!! I would love to give them to my mother because my father does not buy her flowers. I love the Sunset rose. So pretty !! I like the Picnic basket bouquet too. I would gift them to my mom. I would love Pink Lemonade bouquet. the ‘banana bread’ bouquet is very unique, i like it! I love the sunset bouquet. I love the watermelon bouquet. I am crazy in love with the Banana Bread Bouquet!! The wrapped passion bouquet is SO beautiful..but I love em all!! I also love the Pineapple roses. I think that I would keep 1/2 and share the other half. My favorite is the Sunset roses. My favorite is the Picnic Basket Bouquet. I would send my husband a love note! I would send a one of a kind note to my wonderful mom. I would send a one of a kind note to my hubby. I would send my husband a love note. I would send a one of kind note to my mom. My dad passed away a few months ago and this is her first Valentines day without him. I would sent one to my mom, who is my Valentine!! When you don’t have a man it’s your mom. :) Actually even then.. In reality I have more than one favorite because it’s very difficult to choose. But Pair of Hearts is a top favorite. As of right now I would send one to my mom that has to worry about my 92 year old grandmother and my dad who is going through Cancer treatments.